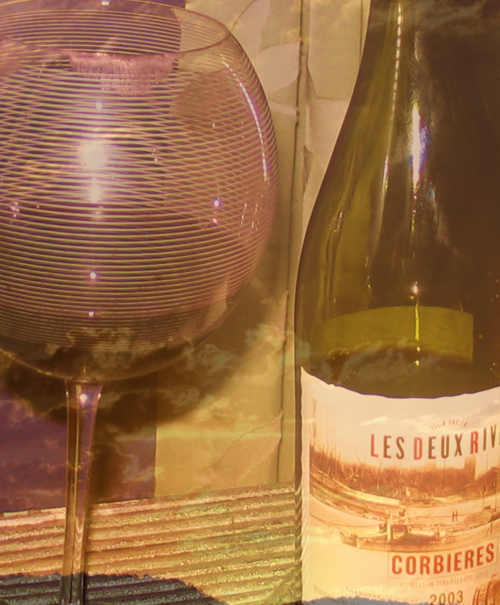 The sun's sinking in the west, the new little leafies on the trees outside my window are shining yellow-green in the last of the daylight, and can I just say that there is nothin' like a bottle of cheap Corbières in a big honkin' glass to round out a Saturday evening? I've got clothes on that were too tight a couple of weeks ago, and I'm ordering some more. Silk! Yay! I bought a ticket to London this afternoon and booked some hotels and stuff with my traveling companion, roseambr. We're gonna visit kispexi2 in Scotland, and walk around in Northumberland, and spend some time with my old friends in my old haunts in Sussex. And I talked to one of them on the phone this afternoon, and emailed another, and got a text message from yet another, and I'm a little tipsy and loving my UK connections and feeling all "I love the 21st century!" and I think I need a little more of that Corbières. No, *I* need dates. You're married. August 3 in E-town, as per email. And the thinner? I think it's the wheat-free thing I'm trying. Bloat-B-Gon. It's excellent.